Do you have a strategic plan? Of course you do! What business doesn’t at least profess to have a strategic plan to help guide them to future success? And yet, what good is a strategic plan if it’s done once and then sits gathering dust on a shelf? Consumers Credit Union must be doing something right with their strategic planning, because it has grown to a hundred thousand members and billion dollars in assets since its founding in 1951. “I think one of the interesting ways that we structure our strategic plan, in the planning around it, is it’s a broad based team of leadership that’s involved and we really try to get to placing strategic emphasis on areas outside of our core,” he says. 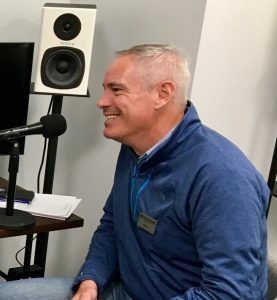 Learn more about how to keep your business planning nimble by listening to Sheri Welsh’s entire The Welsh Wire podcast interview with Steve Owens of Consumers Credit Union. Listen to Sheri’s entire interview with Steve Owens.